Learning to trust: should we let our medtech guard down? Domenico Uccheddu from Francesco Franceschetti Elastomeri looks at the TPE extrusion world and tubing for medical use. Here at Francesco Franceschetti Elastomeri (FFE), we are known as a leading producer of TPE/TPO compounds that are certified for food contact and medical use – that’s our focus today as well as the driving force for the future. Since their first appearance on the market, TPEs have mainly been used in injection moulding and have experienced some difficulties gaining ground in the extrusion world, as this has traditionally been dominated by vulcanised rubber on the one hand and plasticised PVC on the other. However, in recent years there has been a strong tendency to reconsider TPEs as suitable candidates for a number of extrusion applications – a trend favoured mainly in the fields of drinking water and medicine as a result of more stringent hygienic requirements. 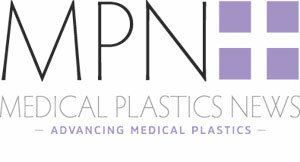 In the medical field, the dominant position of plasticised PVC as a raw material for the production of medical devices stands as a point of reference to all market newcomers like TPEs, which must conform to many common processing techniques applicable to PVC (eg. solvent bonding) or enable new applications and/or new alternative processes to be created in order to carve out their own market space. FFE is committed to developing and producing new TPE solutions for strongly-regulated applications and for both present and future challenges. The company’s most recent developments have been focused on extrusion grades for many applications in the medical field, for drinking water and other relevant industrial applications. Our current projects are dedicated first and foremost to Marfran TPEs for drinking water applications and to Marfran.Med medical compounds, with a particularly strong focus on solvent-bonding products (a complete revolutionary solution for a TPE that until only recently could not be bonded with a solvent). By working closely with our raw material suppliers and investing in new process technologies, FFE uses the latest innovations to identify new material combinations and develop new possibilities. Medical applications are a high-growth TPE sector with major applications in tubing, catheters, intravenous systems, resealable membranes and films. In the medical industry, the demand for safe and halogen-free polymers such as styrenic block copolymer-based materials is currently on the rise. The safe and non-toxic properties of TPEs make them an ideal component in the design of medical products, for which superior performance levels and safety are required. TPEs combine flexibility with high performance, while also complying with many food and skin contact regulations due to their inherent low toxicity. When selecting TPE for medical applications, manufacturers can either choose food contact or medical grades. The current trend seems to be swinging towards medical grades, but awareness about the similarities and differences between both grades is necessary in order to make the right choices. Food contact raw materials have to be cleared by Regulation (EU) 10-2011, stating whether they are a substance with specific migration limits (SML) or a dual use substance. Medical raw materials have to be compliant with European Pharmacopeia and have their biocompatibility certified according to ISO 10993 and USP class VI – which means higher costs. With rapidly advancing technologies and increasing regulatory requirements, today’s customers are asking for more material knowledge and consistent processes in order to minimise variation and improve performance. The transformation processes for Marfran.Med are carried out in a newly dedicated cleanroom, which is compliant with ISO 13485; ISO 7 class, according to ISO 14644-1, and Class 10,000 equivalent, according US FED STD 209E. The cleanroom is highly automated, subject to strict cleaning procedures and to optical checks for quality control. That means more extensive clean down and line clearance procedures, with the guarantee of process change control and that production only takes place on dedicated lines. As a leader in the production of compounds based on thermoplastic elastomer compounds (TPE/TPO based on SBS and SEBS), FFE has a full range of TPE Marfran.Med solutions for medical applications. In recent months, we have seen an interest in substituting PVC tubing: thermoplastic elastomers can be a new opportunity, not only an alternative. TPEs, however, have not been easy to bond to other substrates such as the polycarbonate (PC) or ABS connectors that are widely used in standard intravenous tubing sets. Good bonding characteristics can now be achieved through the use of two new innovative compounds, both Marfran.Med GL and Marfran.Med GLE. These products are transparent, bondable with cyclohexanone and THF medical compounds for both injection moulding (GL series) and extrusion (GLE series), and were presented at Fakuma fair 2017. Unlike adhesives, processing with solvents leaves no chemical residue, as the solvents used evaporate completely to create a clean bond. With the new Marfran.MedGL and Marfran.Med GLE, FFE can offer the market a complete TPE solution for manufacturing infusion sets – from the extrusion of transparent and anti-kinking tubes which can be glued easily with cyclohexanone, THF, or other solvents to the drip chamber produced with our injection moulding grades. In addition to the new solvent-bondable grades, FFE’s TPE portfolio also includes many medical extrusion grades suitable for a range of applications such as pipes for peristaltic pumps, urinary catheters, surgery catheters and respiratory-aid devices. Furthermore, Marfran.Med grades can be modified in order to be antimicrobial, preventing microbes from growing on the surfaces of final products. To recommend the best product solution, however, FFE must first clarify the parameters and requirements of processing – eg to ensure that heat will not damage the antimicrobial substance chosen. Marfran.Med Au is a patented compound that contains usnic acid, a naturally antibiotic derivative found in several lichen species. Marfran.Med Au possesses a range of interesting biological properties and is a potent antibiotic, effective against Gram-positive bacteria such as Staphylococcus, Streptococcus and Pneumococcus. It also works against other types of bacteria such as Mycobacterium tuberculosis and some pathogenic fungi. Following Norm ASTM E2180-07 testing, Marfran.Med Au was proven to be effective in its antimicrobial performance, especially against Gram-positive bacteria (99.90% effective). “Elastomers compound that contains usnic acid”, No.MI2014A001444 (PVC also covered).